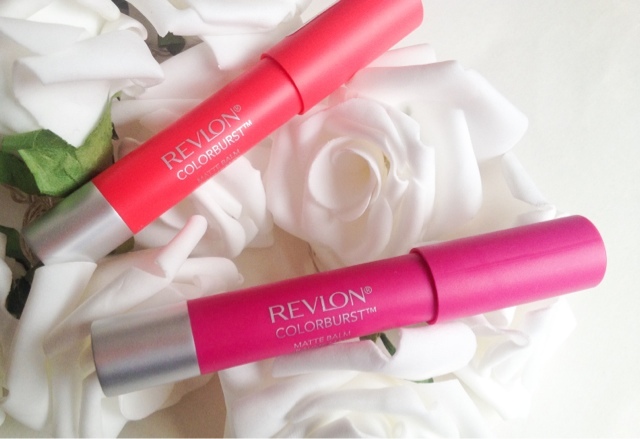 Revlon Colourburst Matte balms are on everybody's radar at the moment. Not one to follow the crowd I like to resist the urge to buy the hyped up products ( I'm a rebel deep down lol), but these balms had me intrigued. I love matte lipsticks at the moment and these seemed to have some good write ups, but are they really as good as everyone makes out? I didn't rush out and buy them straight away, I waited for the sea to settle and then purchased these two on a whim in Boots on their 3 for 2 offer. The two shades I have are 'Unapologetic' and 'Showy Flamboyante'. 'Showy Flamboyante' is a shade I don't normally go for, a bright blue toned fuchsia pink, its not a colour everyone will love, but I do. I personally thick its a deeper shade of MAC's Candy Yum Yum, a lot more wearable and more flattering on the skin. 'Unapologetic' is a colour I am more used to, a bright pinky coral. I love these types of shades and this colour didn't disappoint. 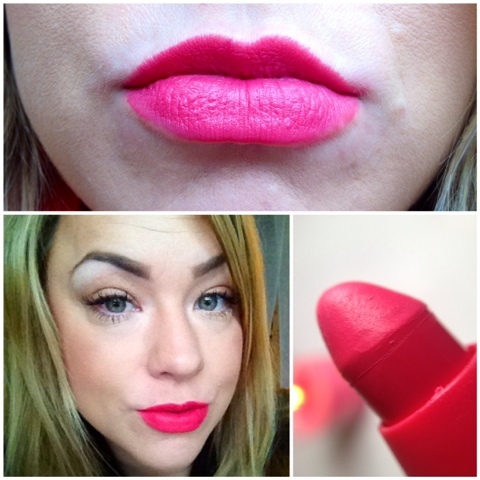 I can see this suiting most people if you are after a bold bright lip and will look perfect in Spring/Summer. Both shades are lovely and have a minty taste and smell to them. For a matte lipstick they apply really well without dragging and actually feel quite moisturising when first applied. They do dry out a bit ( like all matte shades do) but I found they don't go as flaky or patchy as some other brands do. The wear time is a good 6-8 hours and then the colour tends to fade in the middle but still leaving a slight stain on the lips. In my opinion I think they're worthy of the hype that surrounds them. They last ages, have brilliant colour pay off, are great value for money and actually put some of my higher end matte lipsticks to shame ( MAC Ruby Woo, I'm looking at you!). I will definitely be purchasing some more of these and at £7.99 a pop who could resist?! What are your thoughts on the Revlon Matte Balms? Any colours I should look out for?